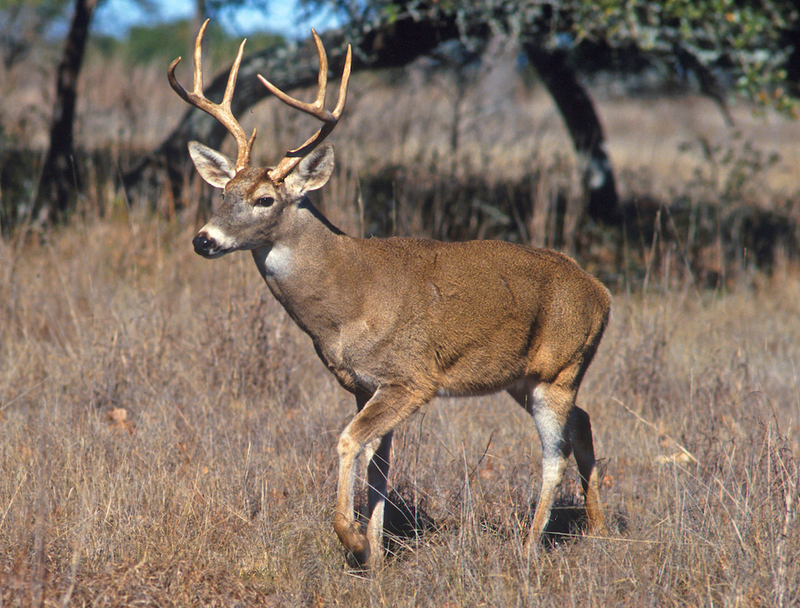 White-tailed deer (Odocoileus virginianus) are an important recreational and economic resource in Mississippi. They are the most hunted game species in the state, with an annual economic impact of more than $150 million. Today, Mississippi has an estimated 1.75 million white-tailed deer, with populations in every county. Not too long ago, however, they were virtually nonexistent in the state. When the French arrived in 1699, white-tailed deer probably ranged all over the area, but the lack of undergrowth in virgin pine and hardwood stands could support only very small deer populations. Mississippi held its first deer hunting season in 1905, with only the hunting of bucks allowed until 1915. Despite such restrictions, market hunting practically exterminated deer from the Mississippi landscape. In 1929 Aldo Leopold estimated that only a few small herds remained in inaccessible areas of the Mississippi River floodplain and in the Pearl and Pascagoula River swamps. The Mississippi Game and Fish Commission was created in 1932 and conducted the first game survey the following year, estimating that the state had only a few hundred deer scattered over thirty-four of the eighty-two counties. Between 1900 and 1925 most of Mississippi’s virgin pine and hardwood stands were removed, creating abundant undergrowth and thus ideal deer habitat statewide. By 1940 the Game and Fish Commission maintained forty refuges encompassing 241,138 acres. Approximately four hundred deer were purchased, mostly from Mexico and North Carolina, and released into these refuges between 1933 and 1940. Private organizations also purchased deer from Alabama and Louisiana in the early 1930s. By 1953 almost two-thirds of the deer used for restocking came from the Leaf River Refuge in Southeast Mississippi. At least 3,142 deer were released into Mississippi between 1931 and 1965. Deer were released in almost every county, with most receiving fewer than 75 deer. More than 75 percent of the deer came from within the state, but deer also came directly from Louisiana, Alabama, Mexico, Wisconsin, North Carolina, and Kentucky. By 1966 deer were present in every county in Mississippi; three years later, the state’s deer population was estimated at 260,000, and deer seasons were open in parts of all counties. Today, deer seasons are open throughout the state, and the estimated annual harvest exceeds 300,000 deer. While all of Mississippi’s white-tailed deer are the same species, weight, antler size, and timing of breeding vary significantly across the state, apparently as a consequence of soil fertility. The deer with the largest weights, largest antlers, and earliest breeding live on the most fertile soils. Weights of mature bucks vary from an average of 147 pounds in the poorer soils of the Coastal Flatwoods to an average of 199 pounds in the rich soils of the Mississippi Delta. The antler main beams of mature bucks range from an average of 15.8 inches in the Coastal Flatwoods to an average of 20.9 inches in the Mississippi River batture lands.